Vitamin C is an effective antioxidant, brightens the skin tone and reduces signs of aging. 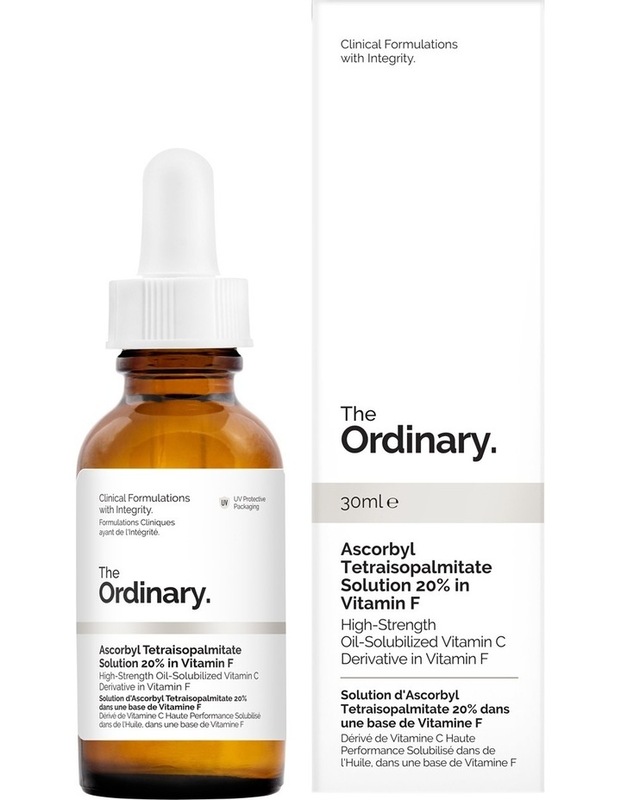 Ascorbyl Tetraisopalmitate is an oil-soluble derivative of Vitamin C that can be used in higher concentrations without drawbacks. It is one of the most stable derivatives of Vitamin C but, being a derivative, its potency will not be directly comparable to pure L-Ascorbic Acid. It is provided in this oil-format formula in combination with Vitamin F, also known as essential fatty acids. Aside from the general benefits of pure Vitamin C, Ascorbyl Tetraisopalmiate has been shown to offer specific skin brightening benefits.